Minerva's Shrine, dedicated to the Roman goddess, Minerva, is situated in Edgar's Field, over the Old Dee Bridge in Handbridge, Chester. The shrine has has been designated by English Heritage as a Grade I listed building. 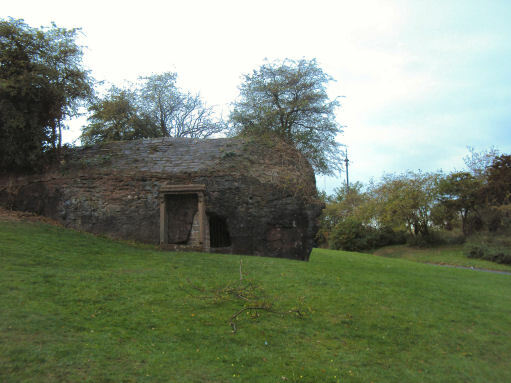 Dating from the early second century, the shrine is carved into the face of a sandstone outcrop towards the middle of Edgars Field. It is the only monument of its kind in Western Europe that remains in its original location. It is protected by a 19th-century stone surround with a hood and it was refurbished in the late 20th century. The carving has weathered over the centuries and has also been damaged by human activity. Next to the shrine is an opening into the rock face which is possibly a natural fissure, known as Edgar's Cave. The carving has weathered over the centuries, so much so that the figure of the goddess is now only a faint outline. Minerva has an owl above her right shoulder and grasps a spear. The shrine measures 4 feet 9 inches tall and 2 feet 6 inches wide. 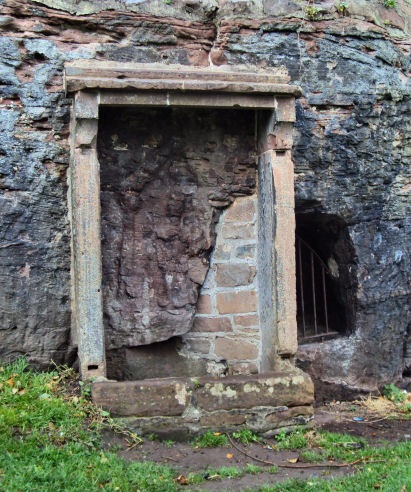 In Roman times offerings were given in this cave for safe passage across the River Dee. Edgar's Field obtains its name from the Saxon King Edgar after the King stayed at a palace on this field in 973 A.D. From here the king visited nearby St Johns Church where six tributary kings swore allegiance to him. Minerva was the Roman goddess of war, knowledge, learning, craftsmanship and the arts.